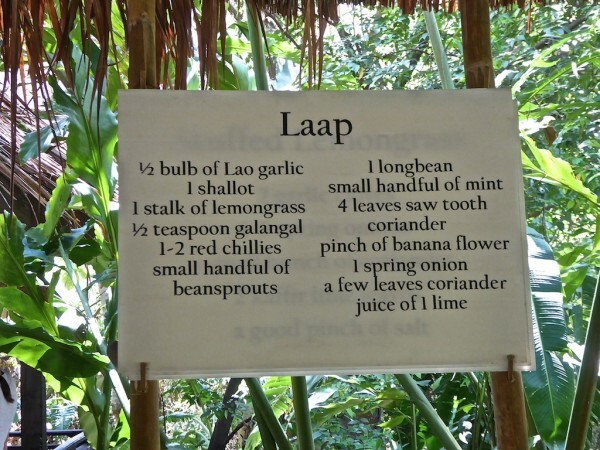 Laap is the national dish of Laos. It is a minced meat (or fish) salad, served with large amounts of fresh vegetables and herbs. Like the recipe for Peruvian ceviche, the meat in a laap is traditionally raw and “cooks” in the large amount of lime juice used. 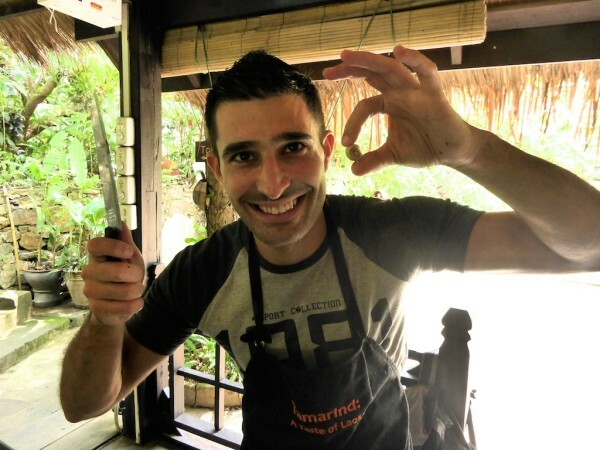 A more farang (foreigner) friendly version involves the meat being cooked first. Buffalo is a common and delicious meat base for laap. Any meat or fish can be used, but buffalo was our favourite: it is the tastiest we tried and very chewy. For vegetarians, substitute buffalo meat with tofu, aubergines or mushrooms. 1. Lightly cook the buffalo meat in a pan, adding the salt and a tablespoon of fish sauce. 2, Remove the meat from the pan and place it into a deep mixing bowl and using your hands, mix in and combine all the other ingredients. 3. Arrange on a serving platter, garnish with green leafs and serve with sticky rice, a spicy jeow dish and washed down with a Beerlao or two. 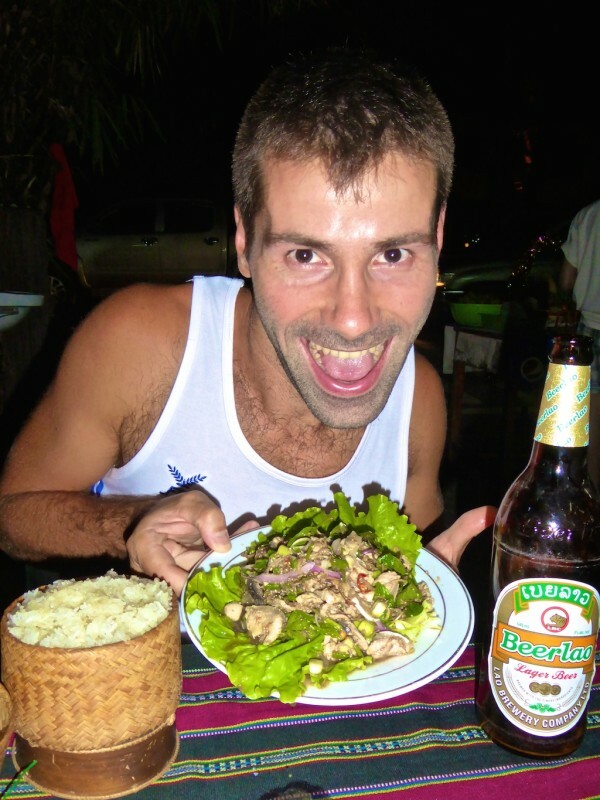 You can read more about our experiences discovering food in Laos and watch our Laos travel video. Thanks for putting up the recipe, I’ve been meaning to look it up for a while. 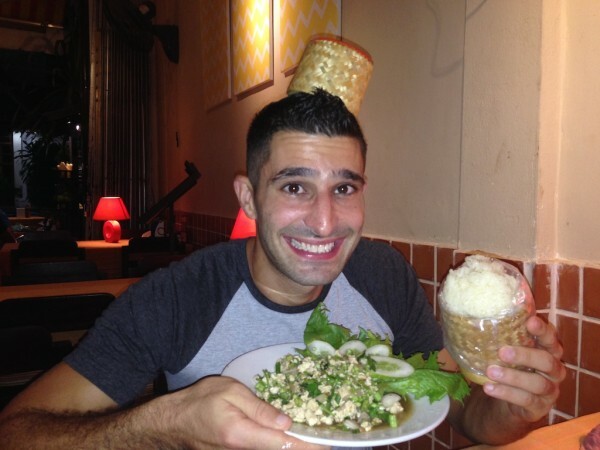 I miss Laos!